Slots have come a long way since the days of the one-armed bandit. Nowadays, slots games offer a much richer experience with far more control offered to the player and much more attention paid to entertainment value. 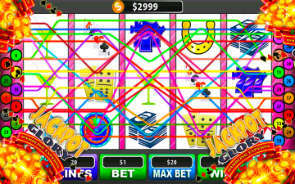 Online slots aim to capture the thrill of those spinning reels and that feeling you get when you see the symbols line up. Many online slots games do succeed in capturing that experience and some casino fans might argue that online slots are even more fun and rewarding to play than real slot machines. In this short guide we will outline some important points about playing Canadian free slots and real money slots online. If you’re completely new to slots, don’t worry. These games were created so that you can have fun and enjoy the thrill of winning without having to make too much of an effort remembering rules or strategizing. Some players like to pay a lot of attention to choosing pay lines and understanding the winning combinations. That’s definitely something worth doing since it makes the game even more exciting as you have specific targets to aim for. If you just want to get started playing though, that’s fine too, and you will still have a chance to win with every spin you make. That’s the beauty of slots games – just sit back, relax, and spin to win! Select the pay lines that you think will win and place however many coins you want to on each line. The above list of steps pertains to almost all online slots games. Even sophisticated looking slots games with elaborate graphics and sound will still be able to be played with these three simple steps. The difference is, that the more advanced games also offer a host of other exciting goodies that add a lot of fun to the game and give you more chances to win. Every online slots game has a help/rules section. Sometimes even a quick glance at this section will help you understand how to make the most of the game – which outcomes pay the most, how to win free spins, and how to get into the bonus rounds. Many modern online slots games have bonuses and bonus rounds that can be triggered by certain outcomes. These bonuses can be a lot of fun to play around with and can sometimes allow you to multiply your winnings even further or earn yourself free spins. Check the rule sheet of the game you’re playing to see how the bonuses can be triggered. If you are new to online slots and just want to give it a try, you can play a free slot game without using actual money. Technically, all slots games are “free” since casinos don’t charge you to use the game, but of course to win real money you have to bet with real money. With online slots, most casinos actually offer a wide variety of their games as free versions that don’t require you to make a deposit or bet with real money. The casinos that we recommend on this site all offer free slots games, although some may offer a wider selection than others. When you browse the slots section of any online casino, just click on the “Free Slots” tab to see what they have on offer. By playing a free slots game, you can learn a lot about how the game works before you start playing with actual money. There are a lot of myths surrounding the logic behind slots games. 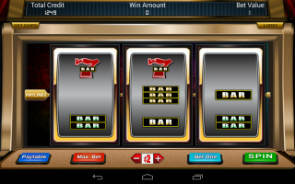 For example, some players believe that once a jackpot has been won, the slots game will tighten up until the game has earned some money and returned to a solid balance. People also believe the opposite – that if a progressive jackpot has reached a huge amount, it is likely to be won any moment. The truth is that with all slots games, the odds are constant. This means that you have the same odds with every spin you make. Past spins have absolutely no effect on your current spin. These are 3-reel slots with one to five pay lines to choose from. Symbols used are usually the classic fruit, bars, and lucky 7’s. 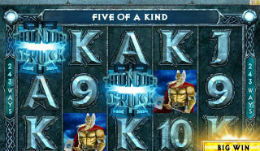 Also known as 5-reel slots or video slots, these games offer a wider selection of pay lines to choose from. The direction of the pay lines can be vertical, horizontal, or zigzag in shape. These slots can vary greatly in terms of design offering symbols that are theme-based and often animated. Because of the various options, there are sometimes between 50 and 100 pay line combinations to choose from. Progressive slots have jackpots that increase in size every time someone makes a spin. 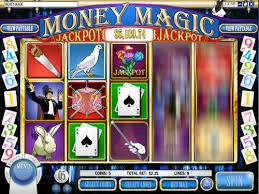 Progressive jackpots usually grow quickly as the game can be played by many people at once. 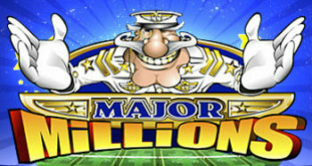 These can be 3 or 5-reel slots games and can have jackpots in the millions of dollars. Read up on each game to see which suits your style of play. If you’re not sure, you can always start by playing the free version and then when you’re sure, play for real money. It helps to know how the slot game you’re playing pays out. In general, it’s better to bet on a number of lines than to bet with larger amounts on only one line. 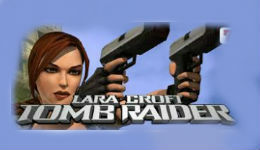 Some games offer bonus rounds which may have a certain skill element to them. Read up on the rules of each bonus round to make sure you take full advantage of them. In most slots games, betting at maximum bet will improve your chances of winning as more betting pay lines will be activated. Find a game that has a maximum bet that isn’t too big for your bankroll. Then you can play the game at max bet every spin without demolishing your funds in five minutes. This is much better than making minimum bets at a game that costs more per bet. Playing slots is the best way to fulfill your wagering requirements towards your bonus money, but read up on the casino’s terms and conditions. Unless slots are your favorite game, playing only slots just to fulfil your wagering requirements may not be worth it. Sorry to break it to you, but online slots run on RNG (Real Number Generator) algorithms that have nothing to do with “lady luck” or any of your favorite superstitions. Don’t get stuck with one game because you think it’s your winning ticket. If you feel you’re on a losing trick, try another game. Before you start playing, take the time to determine how much money you can afford to lose if your bankroll is played out. Sometimes it’s a good idea to have a separate account for playing casino games so that you don’t bite into your personal funds. Another important tip is simply knowing when to quit. If you can do this well, you’ll never come away feeling like you lost more than you can cope with, and when you win, you’ll be able to keep your winnings! So far, 2017 is looking like a very interesting year for online slots. We’ve covered a number of interesting mergers in our Online Casino News section, mergers that promise to bring on a nice selection of new games. 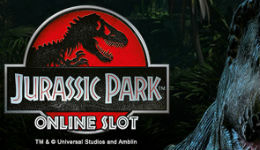 Some of these new games will be fairly classic slot titles while others will push the limits of what we’ve come to know as online gambling games. For example, the William Hill online casino recently penned a new deal with the popular software company Yggdrasil to begin offering all their games through their platform. Yggdrasil’s games usually follow a 5-reel, 20-something payline format that we’re used to seeing, but the company always manages to take things further with amazing themes, mindblowing animations and very innovative bonus systems. On the other hand, virtual reality is also poking its head into the world of online slots. At the ICE Totally Gaming conference which was held in London in February, Net Entertainment, an industry leader in online gambling software, showcased a prototype of the first virtual reality gambling game. The game was based around a roulette table, floating in space with a robot spinning the wheel and taking bets. The company released a statement that at some time in 2017, the world’s first virtual reality slot game would be available to players. The new VR slot game will be a special version of the popular Gonzo’s Quest slot and promises to literally be a gamechanger. As casino fans, we love online slots and think they are a big part of why online casinos are so popular. The casinos reviewed on this site are all strong in the slots department so feel free to have a go at any of the games in our recommended sites. Oh, and if you hit a really big jackpot, be sure to let us know!